This is an excellent discreet shotgun case of the highest quality. 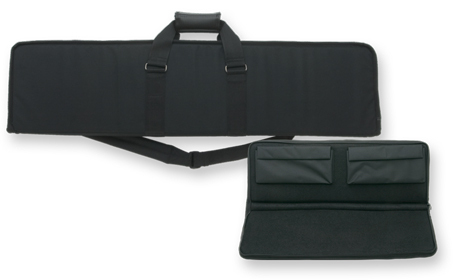 This is a soft case with hard panel inserts to protect your valuable tactical weapon. The protection of a hard case without the excessive cost. The materials are the best available. I offer a 100% money back guarantee.